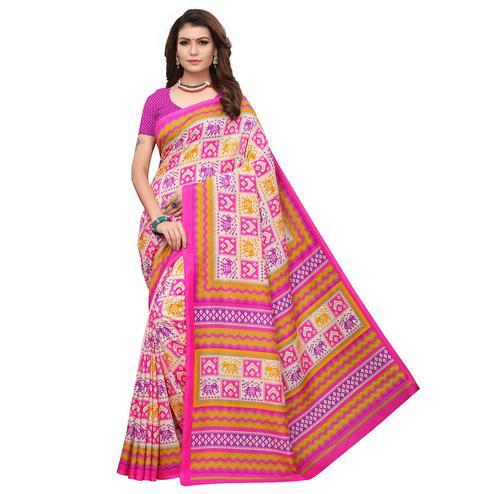 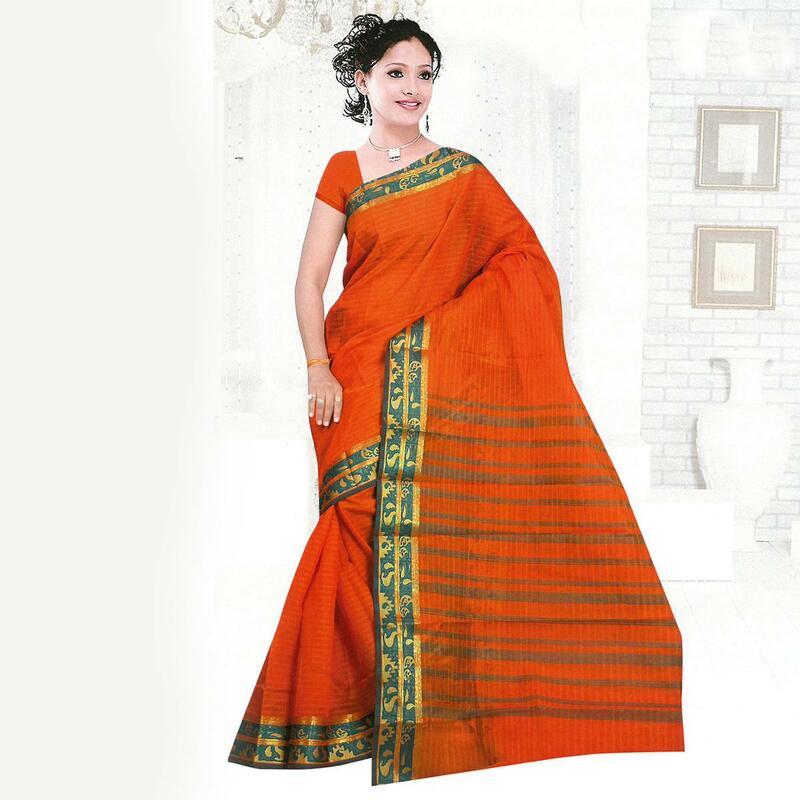 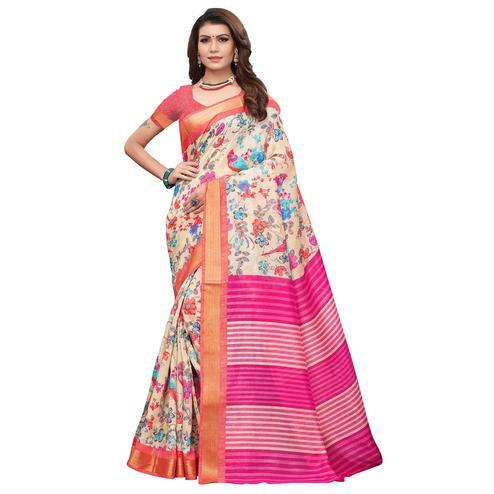 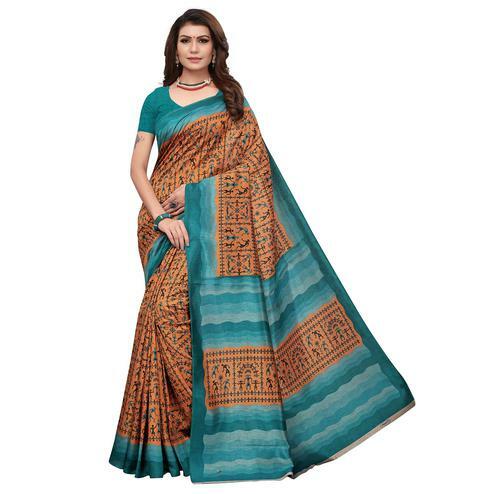 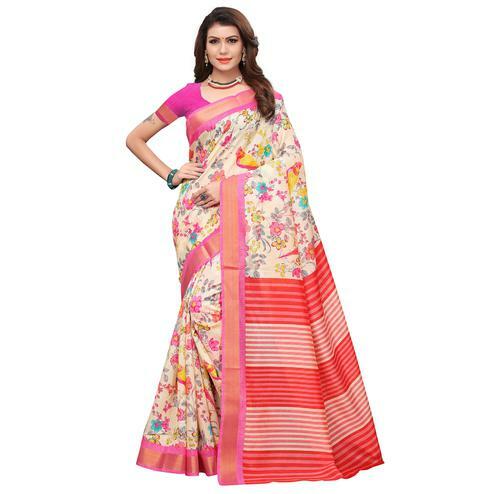 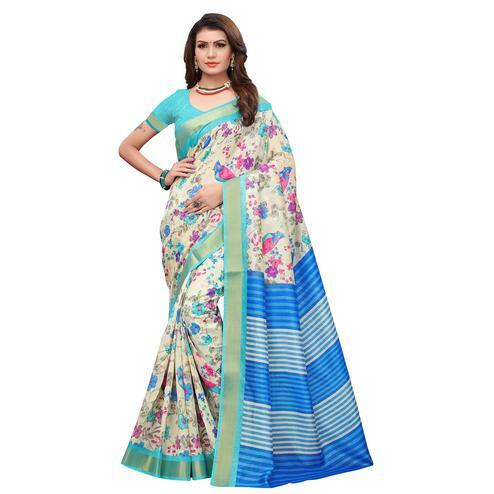 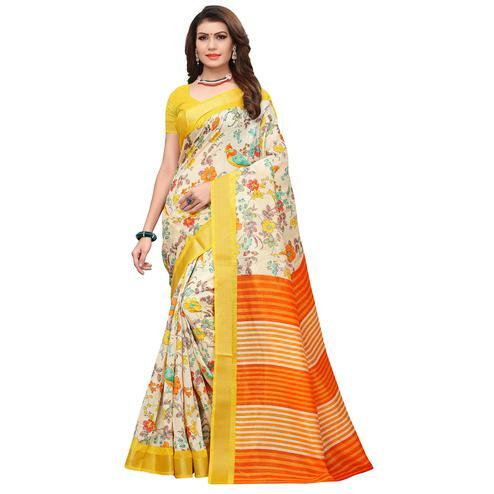 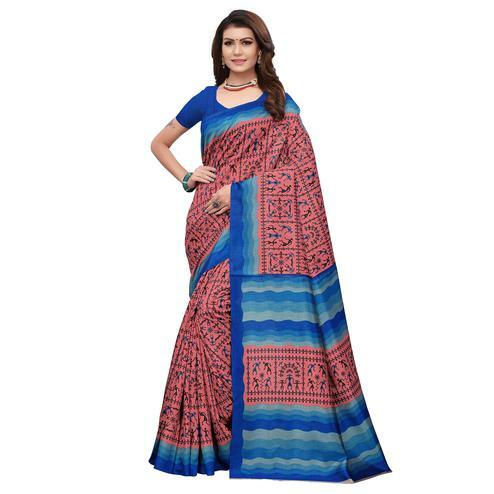 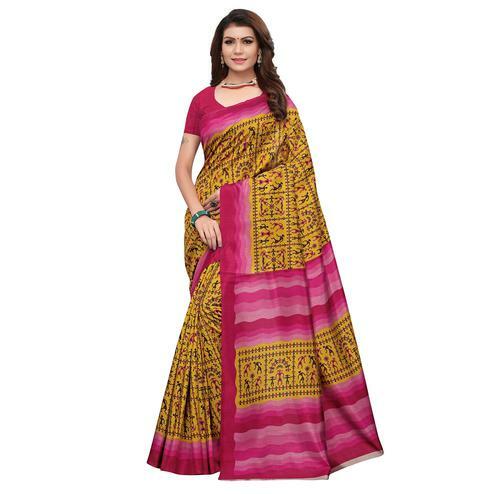 Orange cotton silk saree prettified with horizontal stripes prints at lower pallu and traditional design border enriched with weaving work. 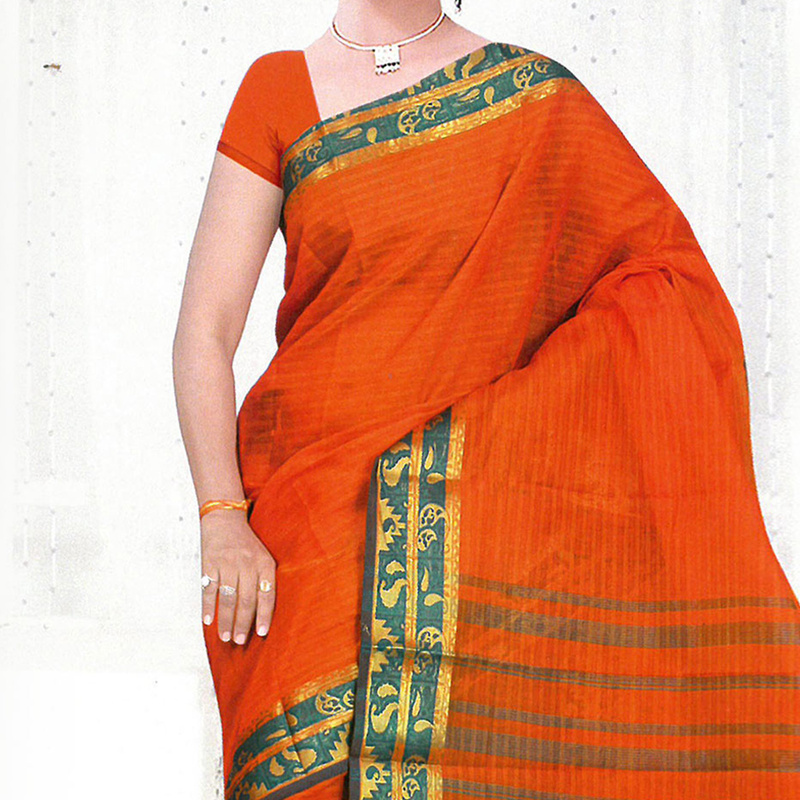 Paired with orange matching fabric blouse piece in unstitched type. 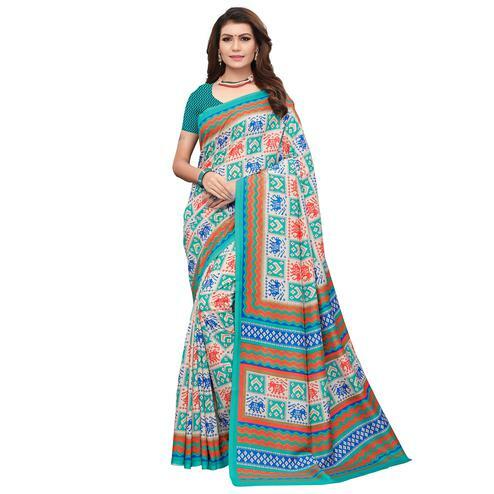 Suitable for small casual events and festivals.